A legendary team is born! Meet the United Kingdom's champion, Captain Britain, and his paramour, the metamorphic Meggan! They'll band together with former X-Men Nightcrawler and Kitty Pryde when Gatecrasher and her Technet are sent to capture Rachel "Phoenix" Summers! From their lighthouse base, the heroes of Excalibur will tackle the ferocious Warwolves, the unstoppable Juggernaut and Mojo mayhem! Things get wild with Arcade, the Crazy Gang and the X-Babies — and really heat up as Excalibur is drawn across the Atlantic to an Inferno raging in New York! 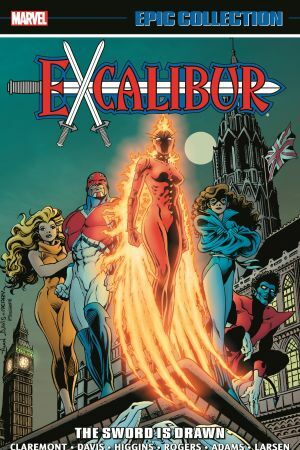 And don't forget Lightning Squad, the alternate Nazi versions of Excalibur! Plus: Who or what is Widget? 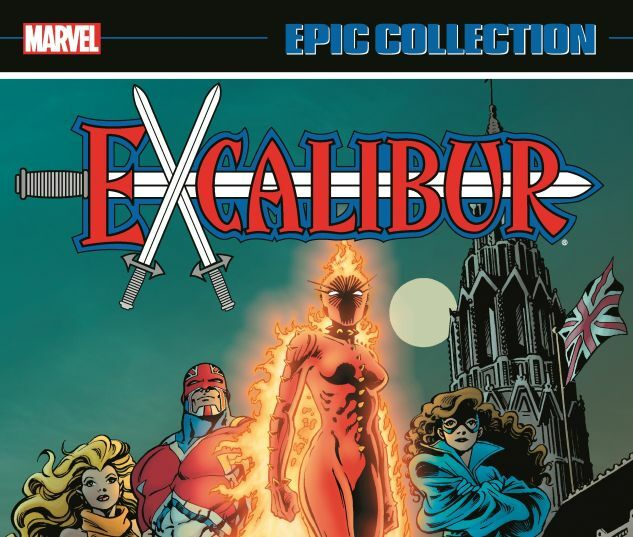 Collects Captain Britain (1976) #1-2; Excalibur (1988) #1-11, Special Edition, Mojo Mayhem and material from Mighty World of Marvel #7, 14-15; Marvel Comics Presents (1988) #31-38.